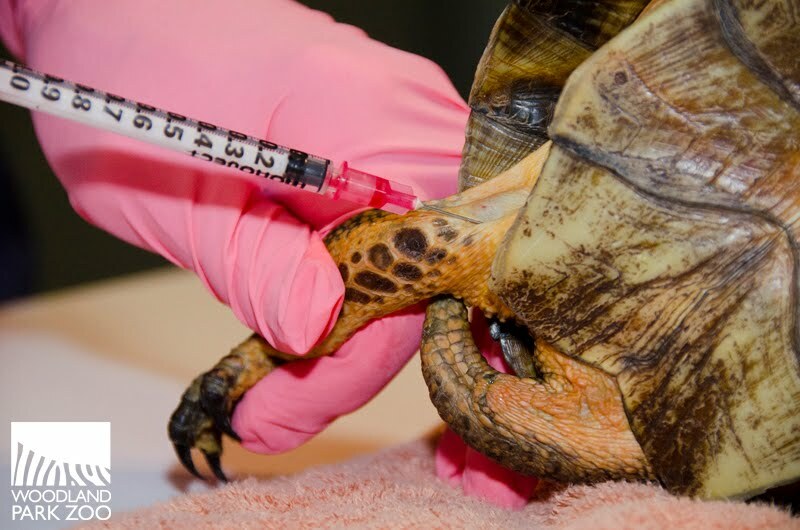 When a recovered turtle found in Edmonds, Washington turned out to be a representative of an endangered native turtle species, Woodland Park Zoo got the call to assist. 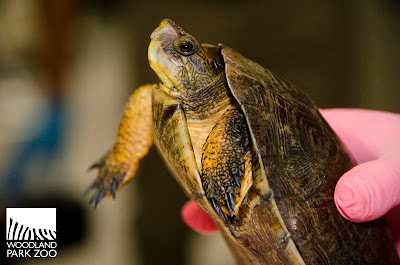 Partnering with the Washington Deparment of Fish and Wildlife, Woodland Park Zoo has been involved with the Western Pond Turtle Recovery Project for 20 years, but in that time only rarely have we seen cases of western pond turtles being found in this state outside of protected habitats. 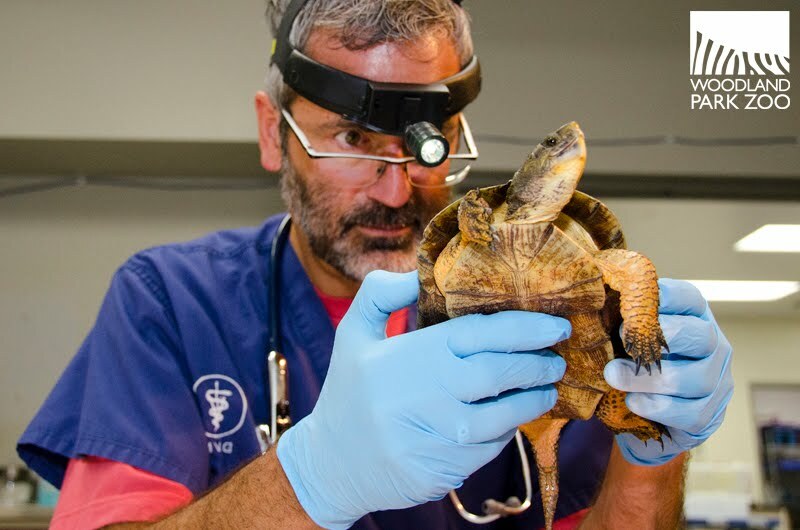 The turtle was found on a road in Edmonds and picked up by a family that brought it to the Just Frogs and Friends Amphibian Center. From there the amphibian center contacted Woodland Park Zoo. We don’t know how the turtle got to Edmonds or out on that road, though judging from its comfort around people, it may have been a pet at one point. Woodland Park Zoo was brought into the mix to perform a health assessment of the turtle to determine its potential to be released into protected wild habitat and join the breeding population of western pond turtles in Washington. 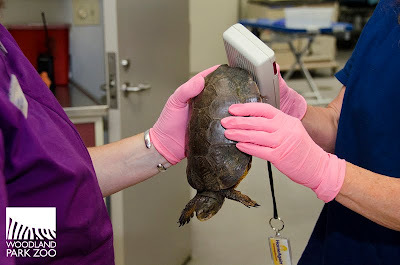 The zoo’s animal health staff gave the turtle a standard check-up last week, taking radiographs, doing blood draws, getting the animal’s weight, inserting a transponder, and examining the overall health and appearance of the turtle. The turtle is in good condition and has been approved for release into the wild population of western pond turtles that survive in protected habitat here in Washington state. 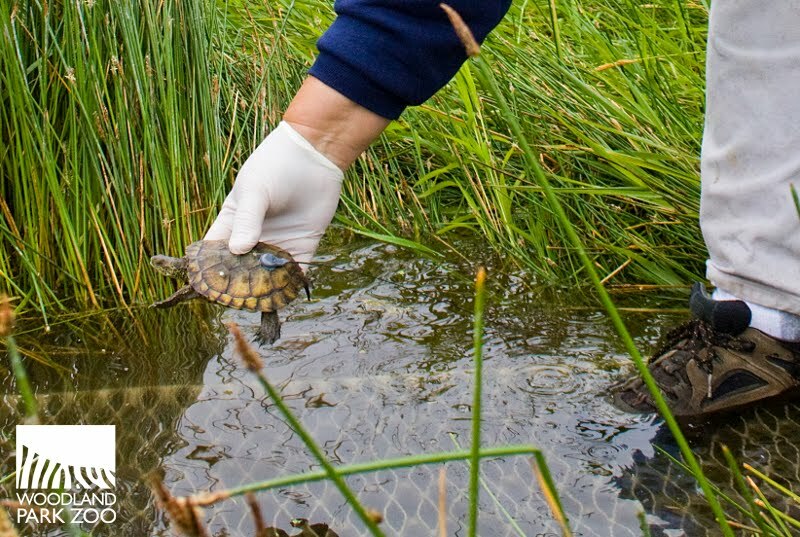 The addition of this turtle is potentially very meaningful to the survival of the western pond turtle in Washington, as this turtle could represent new genes that are not yet represented in the gene pool of the breeding population. Every year, Woodland Park Zoo headstarts newly hatched western pond turtles at the zoo until the hatchlings grow large enough to avoid predation. This year’s batch of headstarted turtles will be released to a protected habitat in South Puget Sound on Friday, and the Edmonds turtle will join them out there possibly as soon as this Friday or in the very near future, bringing with it a new hope for this endangered species. 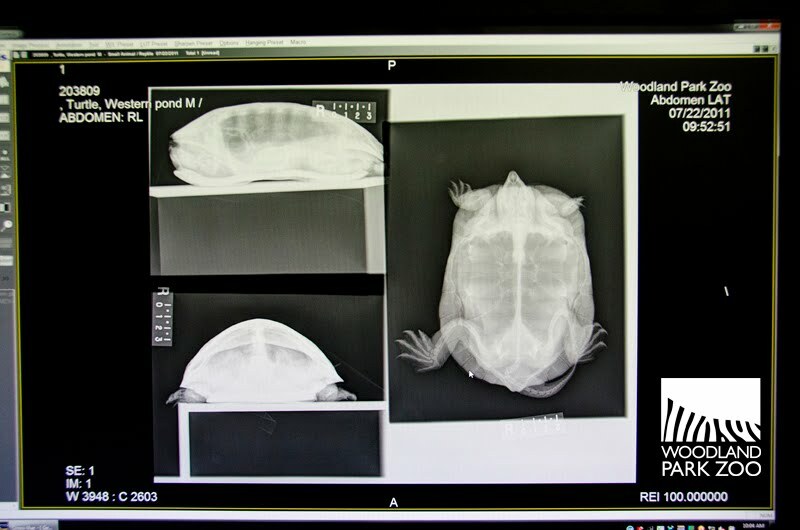 Photos: Bottom photo by Rachel Gray/Woodland Park Zoo, all other photos by Ryan Hawk/Woodland Park Zoo.